Looking for Real Estate Investing Advice? We are often asked for real estate investing advice on many different topics....residential, commercial, flipping, renting, land development, etc. We prefer to only share our thoughts on strategies that we have ourselves implemented first hand. With that in mind, we've assembled our favourite strategies in a report that we will mail out to you for FREE. This is real estate investing advice straight off the streets. 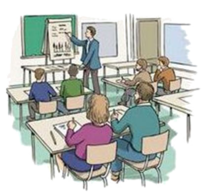 Strategies that are being implemented right in your own backyard and you don't even know about it! How you can turn 3 single family homes into 24 homes without having to invest any more money by having "homes buy homes". How to create Income for Life by NOT having to fix up distressed homes. No matter who you are, what experience you have, this report will reveal strategies that you likely have never heard of. This isn't taught in grade school, high school or university (sad, but true). You will be able to build financial independence without having to contribute 10% of your income to RRSP's. Do you know anyone who achieves financial freedom from that strategy anyway? You will be able to follow and implement these strategies all in your spare time. And best of all, you can massively leverage your money by having one nice single family home buy multiple homes for you. The real estate investing advice in this report does not take a lot of money to get started. As you will learn, all you need to do is buy one home, and it snowballs from there. You do not have to know anything about real estate investing to get started. This is simple and straightforward. It's really the true story of how we implement these strategies for our clients. If we can make it work for beginners, with no experience, it will work for you too! Start by learning the Income for Life investing approach by requesting the report for FREE below. You will learn how simple it is to build a portfolio of properties. We believe the real estate investing advice we share will help you avoid many mistakes and give you shortcuts so that you can do this in your spare time. As real estate professionals, we have watched many beginning investors make the costly mistakes of buying distressed homes to rehab and resell. This is very risky because you have to continuously invest more money in these properties. Not only is this idea expensive, it all requires you to spend your spare time as a general contractor or painting, laying tile and making repairs yourself! With the plan we outline in this report, you purchase nice homes and begin extracting cash from your investments within weeks. No 15 trips to Home Depot on the weekend for you! Many investors spend countless evenings and weekends working on their properties. This is not fun. In the plan outlined in this report, you will learn why it is important to invest in homes that are in "move-in" condition. In fact, we don't usually have to pick up a screwdriver or even sweep the front steps to make money from these investments. "This system really does work! It's so helpful to be able to bounce ideas and share strategies with Real Estate coaches who are active investors. They understand your concerns and are able to walk you through the process because they have done it themselves. 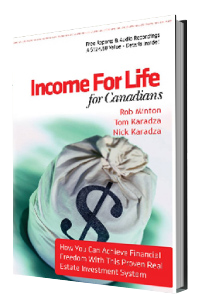 I would highly recommend Tom and Nick and their Income for Life program to anyone looking at investing in Real Estate. Thanks guys." "I am blown away with the Income for Life investment strategy! I was able to place a tenant in the property so quickly that I had not even made my first mortgage payment. The property is generating $300 in positive cash flow and I received $5,000 in upfront profit! And the best part, I did all of this without even putting an ad in the paper! Tom & Nick have put together a great system. Amazing." "I've noticed that recently there are a lot of 'investment gurus' coming out but I only see the sincerity in Tom & Nick's willingness to help investor make this work. It really is a win/win approach. Thank you"
"We run a Contracting company so we obviously had some doubts about making money in real estate without fixing up properties. But Tom and Nick have really put together a good system. We closed on our first property and the very next day we had multiple people at the house. One of them agreed to sign up to our program that day and gave us $10,000 upfront as option money! This is a great way to invest in real estate." Perhaps you have always wanted to invest in real estate, but didn't have the real estate investing advice necessary to get started. You will find it very easy to start acquiring nice homes in nice areas using our Income for Life Plan. Remember, you can start this wealth snowball with just one nice home, and it is not only easy...it's fun! You can get our real estate investing advice all rolled up in our FREE report by filling out your mailing address below. Your report will be shipped out to you via mail by the next business day. 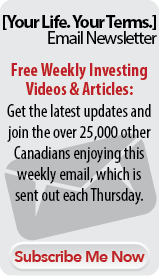 CLICK HERE TO GET YOUR FREE COPY OF OUR OUR FREE REAL ESTATE INVESTING REPORT & A CD INTERVIEW WITH REAL CANADIAN INVESTORS.